The Browns first met Paddington at a railway station – Paddington Station, in fact. He had travelled all the way from Darkest Peru with only a jar of marmalade, a battered suitcase and his hat. And when the Browns saw the note attached to him – “Please look after this bear” – they knew they had to take him home and do just that! The Browns soon find that Paddington is a very unusual bear. 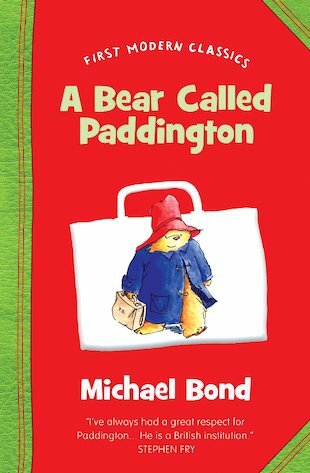 Ordinary things like having a bath, travelling on the Tube or going to the seaside become quite extraordinary – when a bear called Paddington is involved! I read this to my son and i love it too it brings back plenty of memories from my childhood. i love padighto and there is acturly a stachin called padinghtan. he is a cute fluffy bear. he has a red hat and a blue jacket and a suitcase like a humman, but he is a bear.